Product application : Shisha (Molasses). Filling Range: 50gm - 200gm. Being a reputed firm of industry, we have got huge preference from customers for our ability of providing an advanced array of Multi Track FFS Machines. Our range is designed by experts and developed incorporating advanced technology. The quality of entire range is thoroughly checked before we supply them into the market. We offer excellent quality Automatic Liquid FFS Machine highly suitable for packing Viscous and Semi Viscous fluids such Hair Oil, Shampoo, Cream, Ketch up, Coconut Oil, Edible Oil etc. We offer our esteemed clients a pristine gamut of pneumatic ffs machine at rock bottom prices. These machines are specifically designed by our engineers considering the defined industry standards. Our machines are highly effective for milk, lubricant oil, wine, edible oil and water. This range is made accessible in varied dimensions in order to meet the variegated demands of the clients. 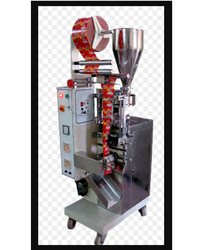 We are instrumental in designing and manufacturing FFS cup filler automatic pouch packing machines that are used for filling cups for packaging purposes. These machines are available for our clients in the capacity range of 300 cups per hour to 12000 cups per hour. 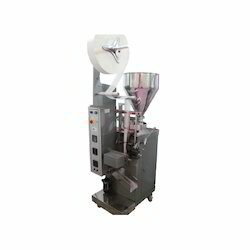 We bring forth for our clients, a superior performing range of FFS Pneumatic Cup Filler automatic pouch packing machines that is used for packing different material. These machines assure fool proof size changeability at a high speed and are made of food grade raw material. These machines can make pouches of different sizes to meet the varied requirements of our clients.